While businesses are constantly competing across their industries, businesses often compete closer to home too. Local competition in San Francisco can be tough, so it’s important that business leaders know who their local competitors are and how they operate. Only once you obtain an understanding of the nearby business landscape can you take the appropriate measures to differentiate yourself or even start collaborating with other businesses. 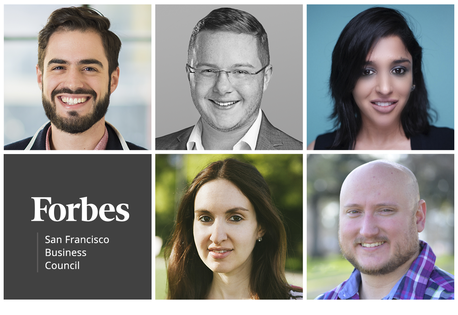 Five members of Forbes San Francisco Business Council shed some light on how they handle local competition. Five San Francisco business leaders shared their tips for handling competition.All photos courtesy of individual members. We typically handle local competition with excitement and grace. By that, I mean we typically like to at least try to build relationships with local competitors if they’re willing and open-minded. In the global market of health care, competitors that are located in our area can provide valuable brainstorming and partnership opportunities. This space, generally, is big enough for two or three of us. – Cameron Jacox, Lark Technologies, Inc.